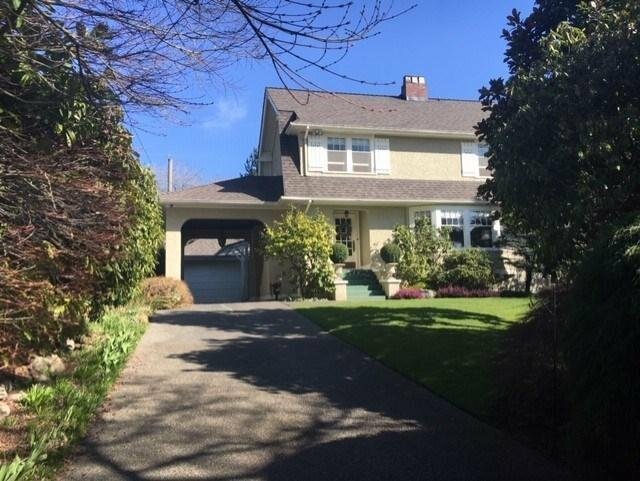 4430 Angus Drive, Vancouver - 4 beds, 4 baths - For Sale | Jenny Wun - Oakwyn Realty Ltd.
A golden opportunity to own a nearly 8800 sq ft lot property on the prestigious Angus Drive in the prime Shaughnessy neighbourhood. With this huge lot you can build your ultimate dream home in one of the most sought after location in all of Vancouver. The existing house is a charming, partially updated 5 bedroom 4 bathroom 3 storey home with over 3500 sq ft of spacious living spaces. It truly is the most desirable location to raise a family because of the best private and public school nearby. Your choice to either build your ultimate dream home of hold for investment. Top school catchment - Shaugnessy Elementary and PW Secondary. Close to all amenities. A must see! !Frontage measurement base on Survey Certificate in 2001 and City of Vancouver Map, buyer to verify if it's deem important.